There is no denying the fact that the Nvidia manufactures some of the best Graphics Card for PC. For quite a while, the internet is filled with the rumors about the Nvidia GeForce GTX 1180, 1170, and 1160. Most of these leaks are just rumors about the specifications of the Nvidia GeForce GTX 1100 series. Some of these leaks might get true, while others not so much. The leaks never quoted the Release Dates for the latest NVidia GPUs. That does not mean that no one has an idea about it. We do have the Nvidia GeForce GTX 1180, 1170, and 1160 Release Dates and would be going to share that with you. 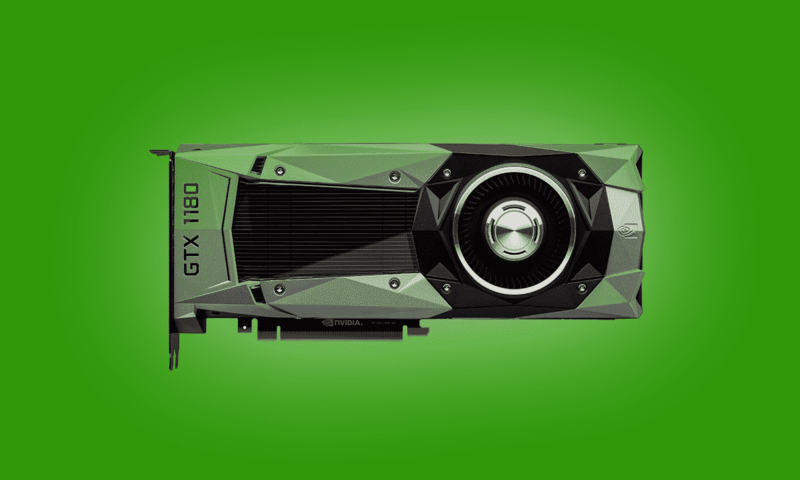 Recently, the Nvidia sent emails to its partners (via WCCFtech) regarding the launch of the Nvidia GeForce GTX 1180, 1170, and 1160. The mail states that the new Nvidia GeForce GTX series of GPU would be launched between August to October. Surprisingly, the mail mentions four new Graphics Cards, the GTX 1180, 1170, 11060 and 1180+. According to the reports, all the four GPUs would be for Desktop. This is not surprising though we might be able to see the Laptop versions of the GPUs soon after the launch. Nvidia was overstocked with 10-series GPUs and the board partners are also making the transition from manufacturing GeForce 10-series to the new 11-series GPUs, the mail confirmed. This means that we can see a price drop on the Nvidia 10-series range after the launch. Anyways, now let us take a look at the release date of the new Nvidia 11th Gen GPUs. Nvidia GeForce GTX 1180 will launch on August 30. The Nvidia GeForce GTX 1180+ will launch on September 30. Nvidia GeForce GTX 1170 will launch on September 30. The Nvidia GeForce GTX 1160 will launch on October 30. This suggests that the weak demand for bitcoin mining and Gaming has hit the Company hard on the face. According to the recent reports, the company faces a downtime by $6 million (which is approximately Rs. 41 crore and 9 lacs) in the second quarter of this year from around $10 million (which is approximately Rs. 68 crore and 49 lacs)in the first quarter which is insane. Let us know what do you guys think about the new Nvidia GeForce GTX 1180, 1170, and 1160 in the comments section down below. I m waiting for the entry-level 1130. And the spec it offer. If it’s better than 1030 and close to 1050 performance and with lower TDP of 30 watt as 1030 it would be a great price performance ratio card. Quite overly excited for its launch. Waited long…still saving up for 1170 expecting the price to be not more than 40K. Miners should leave these bad guys(11xxs) alone and grab another ASICS GPU for all their BitCoins. Miners will buy everything in India and drive up the demand and the prices would be 60k for 1170. You just wait and see.